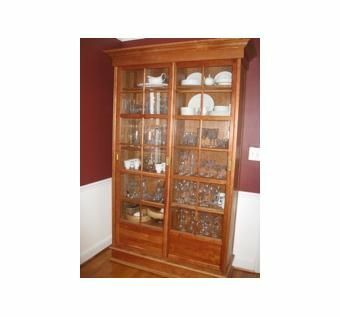 This solid cherry china cabinet it the initial piece of a dining room set that will eventually include a table with several leaves, a six (6) piece dining chair set (includes 2 arm chairs), and a serving buffet (designed to store the extra table leaves). 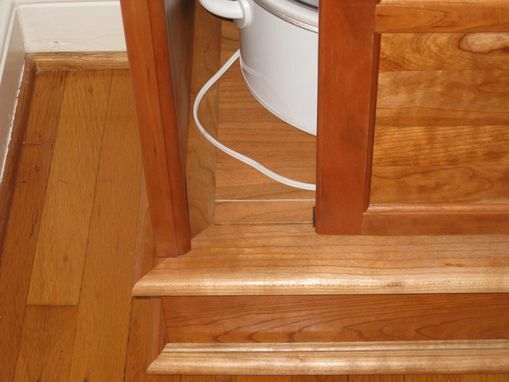 All pieces will be made of solid cherry to complement the design elements throughout the pieces. The china cabinet features adjustable shelving, effortless by-pass sliding doors, mullioned glass panels, recessed brass door pulls & shelving pins, and plate grooves to display those cherished plates. 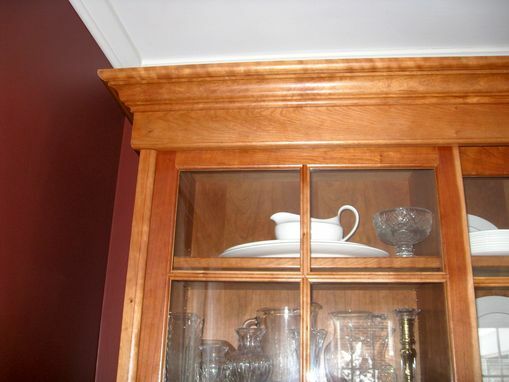 Additionally, the china cabinet has a sprayed coat of sealer followed by 2 coats of sprayed lacquer. 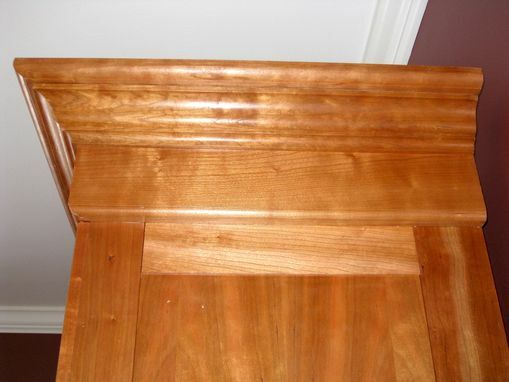 A hand-rubbed waxed top coat completes the finish.